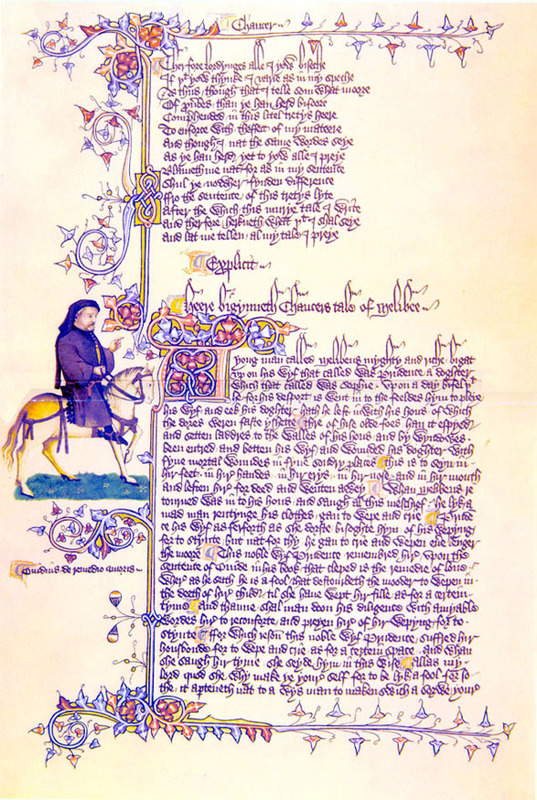 A reading of the Canterbury Tales Prologue in Middle English accompanied by the text in "phonetic" spelling so that one can easily learn it. Below the same extract is printed in the authentic Middle English version. Translation is also provided. When April with its sweet showers has pierced the drought of March to the root, and bathed every vein in such liquor from whose power the flower is engendred; when Zephyr [the west wind] also, with his sweet breath has blown [into life] in every wood and heath the tender crops, and the young sun has run his half-course in the sign of the Ram [Aries], and small fowls make melody, who sleep all night with open eye - so Nature stimulates them in their hearts - THEN people long to go on pilgrimages, and palmers [i.e. pilgrims carrying palm leaves] to seek strange coastlines, to distant saints [i.e., holy places], known in various lands; and specially, from every shire's end [i.e. the border of every county] in England, to Canterbury they journey, to seek the holy blissful martyr [Thomas à Becket] who helped them when they were sick.